April 16, 2016 marked the 25th anniversary of Temple of the Dog — a record that saw the members of Soundgarden and Pearl Jam join forces in their hometown of Seattle, to craft what remains one of the most unique and impactful collaborations to ever grace Rock n’ Roll. 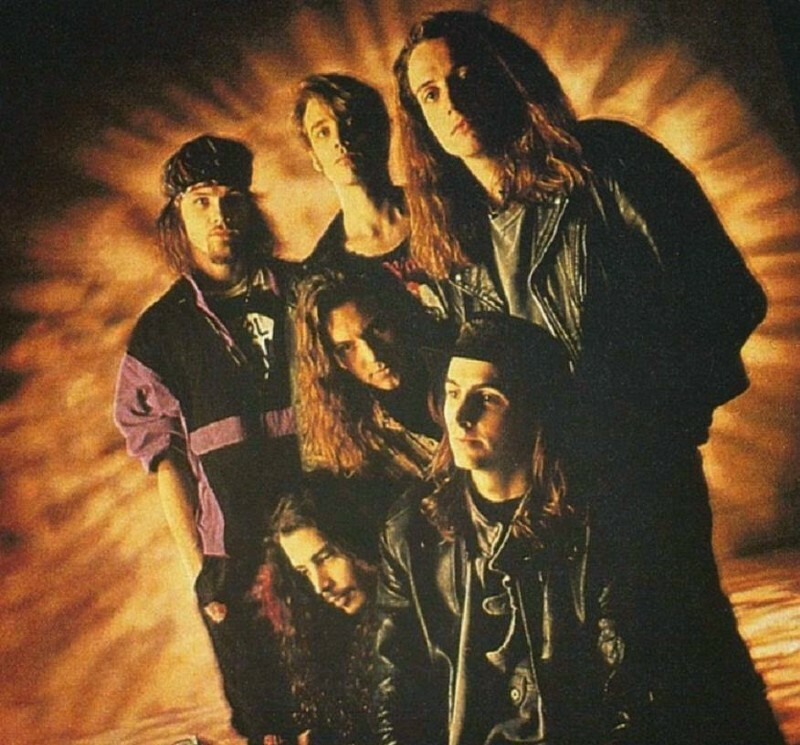 There within those ten words from the opening track, “Say Hello to Heaven,” lies a major ingredient as to what has made Temple of the Dog so meaningful. It exemplifies people unifying in an effort to simply be there for each other and carry out a passion. Something we could all continue to learn from today. Cornell has always described the Seattle scene as being very supportive. Bands would encourage and inspire each other as opposed to trying to take each other down. That camaraderie made it appealing to him to attempt working with soon-to-be Pearl Jam. Cornell recorded the two songs to a cassette tape and dropped it off at Kelly Curtis’s office. Weeks later he received a call from Ament who had a very complimentary and encouraging reaction. In addition to Cornell’s songs (“Say Hello 2 Heaven,” “Reach Down,” “Call Me a Dog,” “All Night Thing,” “Wooden Jesus” and “Your Savior”) Gossard would bring in three arrangements (“Pushin’ Forward Back,” “Times of Trouble” and “Four Walled World”) that Cornell would ultimately piece together. Every note and every word, bleeds honesty and purity. “For him to write songs and then have the idea of sharing those songs with Jeff and I, was just another generous gesture that said — ‘I’m not only going to help you guys with this record, but I’m going to even ask your new singer,’” said Gossard (PJ20 film). Eddie Vedder had just gotten to town during one of the last Temple of the Dog rehearsals. Vedder and Cornell had not met each other besides a quick hello. As the band rehearsed “Hunger Strike,” Cornell was juggling both the high and low portions of the chorus. Courageously, Vedder steps up to the mic and lends a hand. The result would be a thunderous vocal tag-team that never ceases to send chills down your spine — mostly due to the admiration that is shared between Cornell and Vedder. “It was the first time I ever heard myself on a real record so it could be one of my favorite songs that I’ve ever been on. Or the most meaningful,” said Vedder (PJ20 film). The album was recorded in just 15 days with producer Rick Parashar. 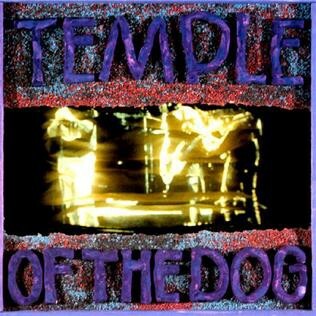 The final product, Temple of the Dog, was released on April 16, 1991 through A&M Records. 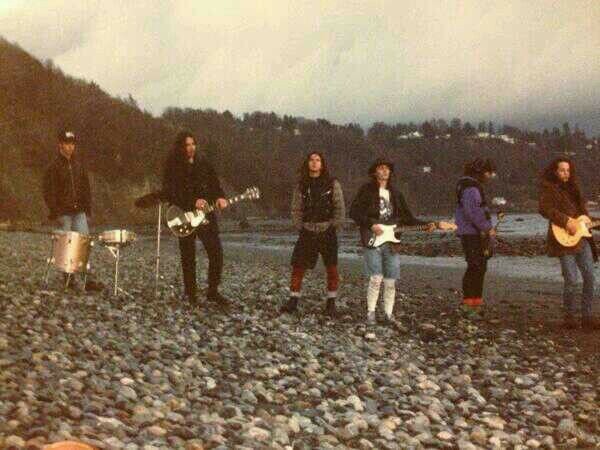 As Soundgarden and Pearl Jam respectively catapulted, A&M decided to re-release the record with “Hunger Strike” as a single and an accompanying music video that was filmed in Seattle’s Discovery Park. “It was a fun record that nobody had expectations for. That made it feel very fresh from beginning to end. We weren’t concerned what anyone outside of our group of friends would think of it. It was the first and maybe only stress free album that we all made,” Cornell explained. Temple of the Dog was among the 100 top selling albums of 1992. It has sold over a million copies in the United States according to Nielsen SoundScan, and has been certified platinum by the RIAA. The longevity of the record is something nobody could have predicted. “I knew that Soundgarden was special but I didn’t necessarily know I could do something special outside of it until then. It made me open to the notion that art for art’s sake can result in something special,” Cornell stated. 25 years later, its resonance is stunning. Temple of the Dog represents in every way, what music is all about. When you are attending a Pearl Jam, Soundgarden or Chris Cornell show and you know someone from the other band happens to be in that city, you can’t help but think — I wonder if there will be Temple of the Dog performance? When you hear those opening “Hunger Strike” notes or Cornell strum the A minor into “You call me a dog” you go crazy. You’ve struck gold and are witnessing something beyond special. You’re all reaching down, picking each other up just like this group of legendary musicians did. 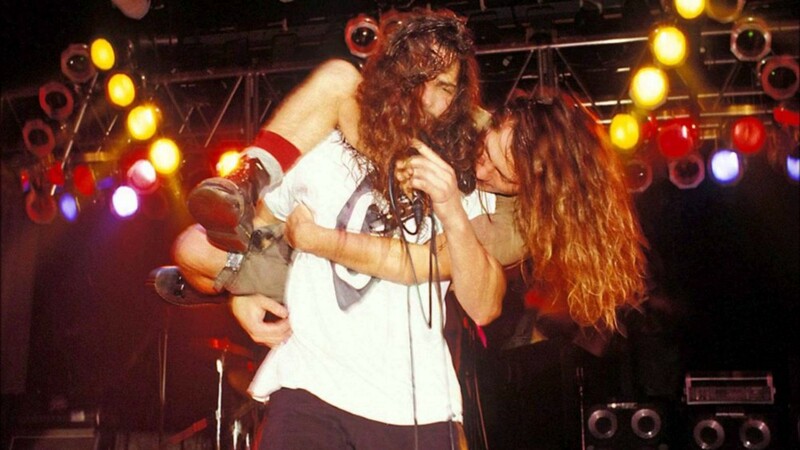 There have been numerous Temple of the Dog performances over the years — whether it was Cornell joining Pearl Jam as a special guest, or the respective groups creating renditions with other various artists. 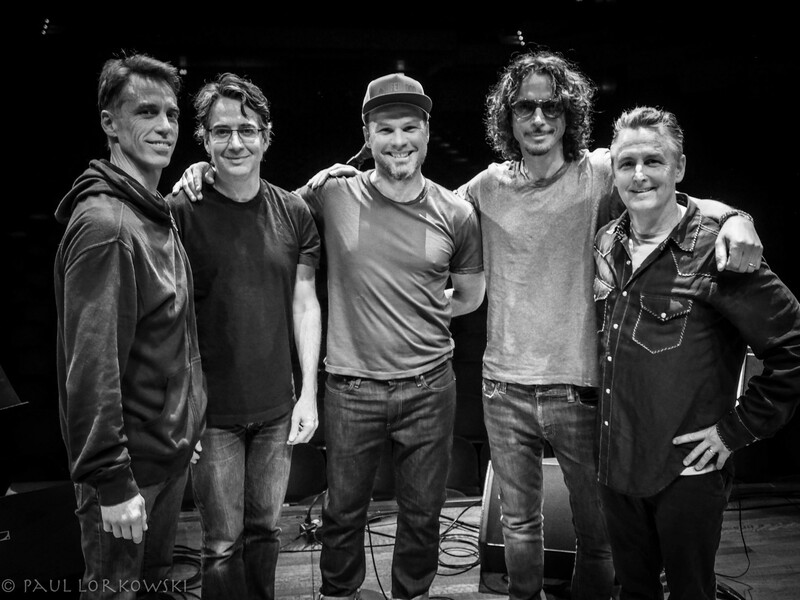 Never though, have we seen the six of them together, billed properly and specifically on tour as Temple of the Dog. The pride is contagious. In part because Cornell’s writing has been so powerful, but also due to the emotions this music naturally stirs up. You feel overjoyed that these musicians whose art has been such a beautiful part of your life, are still embraced in this brotherhood that seems stronger than ever. You feel a part of it and perhaps somehow you even helped it. You feel proud of Seattle and all the history that has come out of it. You feel appreciative, just like the members of the group who continually and so graciously show gratitude for their craft and their fans. You respect why this music came to be and just how much it means to the band that made it. You admire their strength, resiliency and courage to stay true to themselves and each other. Lastly, Temple of the Dog reminds you how valuable certain moments are and how the unique moments shared amongst loved ones can be nurtured, only allowing them to grow over time. Temple of the Dog represents love. Love for each other, love for music, love for where you are going and love for where you have been. Temple of the Dog represents people coming together. Unifying over a common passion and honoring the bond that both introduced them and continues to keep them together. That is art that will forever lead by example.